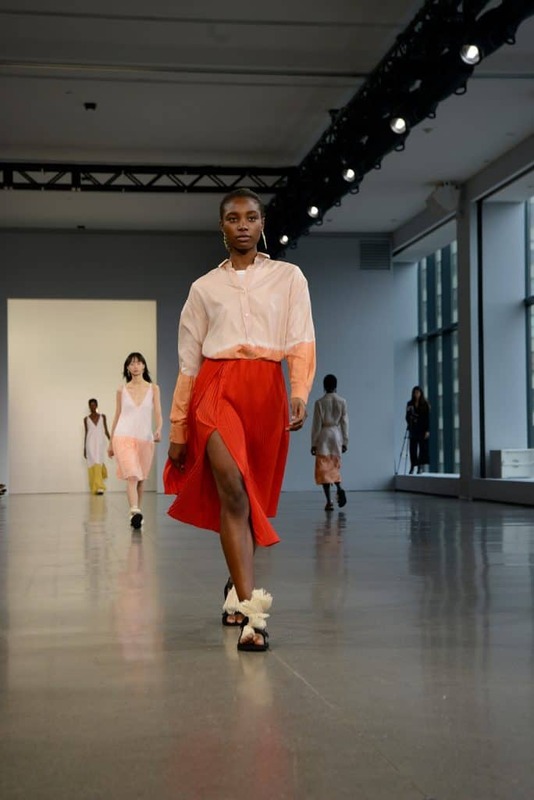 TOME NYC returned once again for another season of NYFW having been a season regular since 2013. 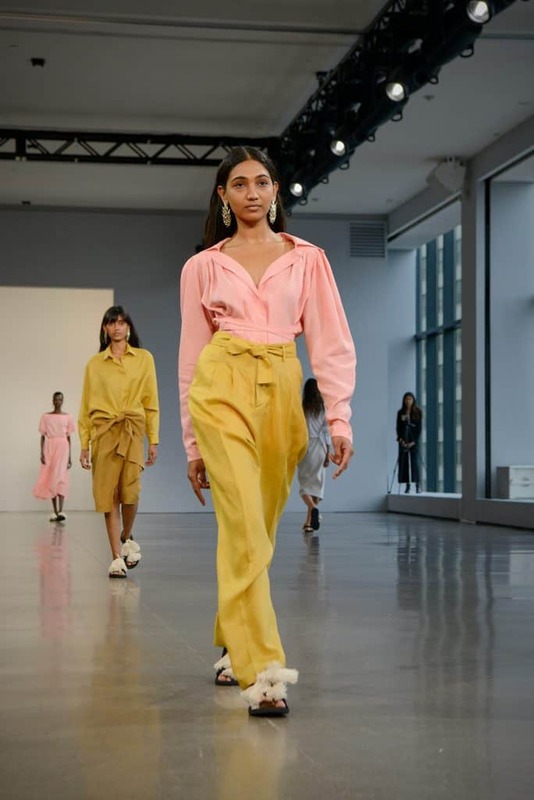 Co Founded by designers Ramon Marin and Ryan Lobo, TOME has been on the rise in NYC since securing their spot with the CFDA during a pivotal time of change for NYFW earlier in 2013. 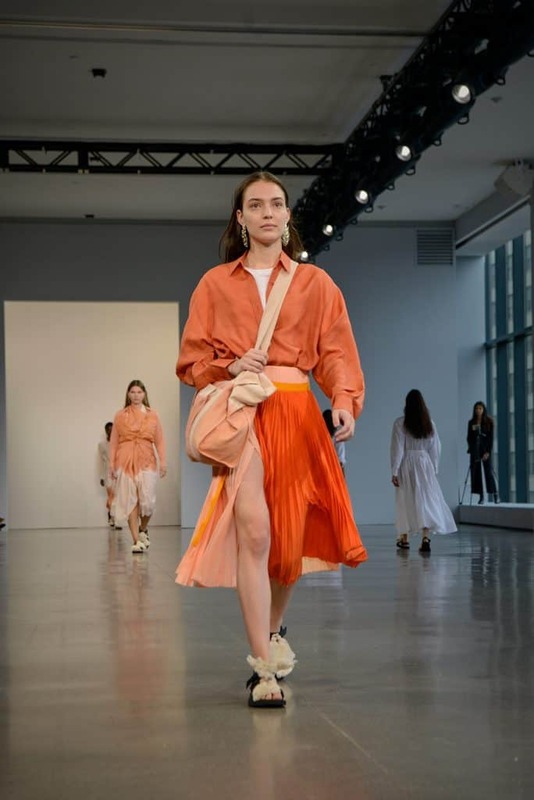 Now on September 11th TOME has returned once more to NYFW to debut their Spring/Summer 2019 Collection at Spring Studios NYC. TOME entered the season clearly with a feminine and versatile collection in mind for every woman. Consisting of flowing dresses and finely cut tops, the collection stayed true to their vision as a brand. 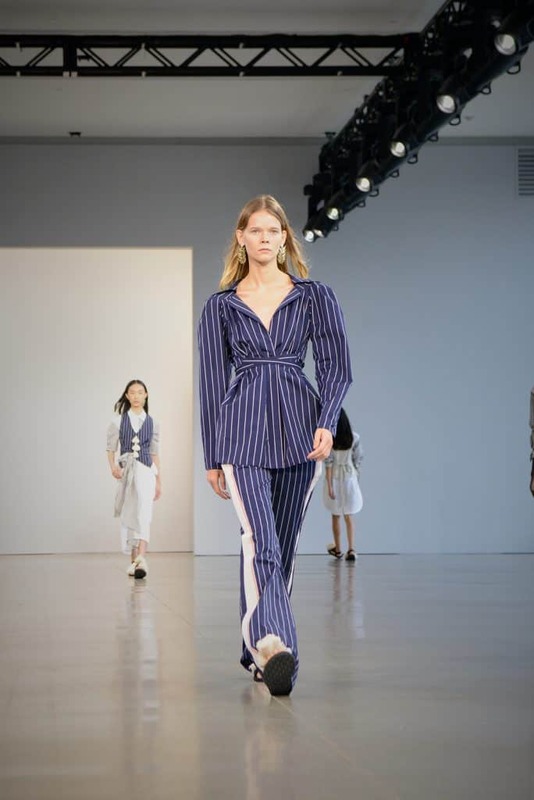 Captivating the crowd with white and blue pieces, vertical pinstripes, and classic pieces layered to create interesting looks fit perfectly for a stylish modern aesthetic. 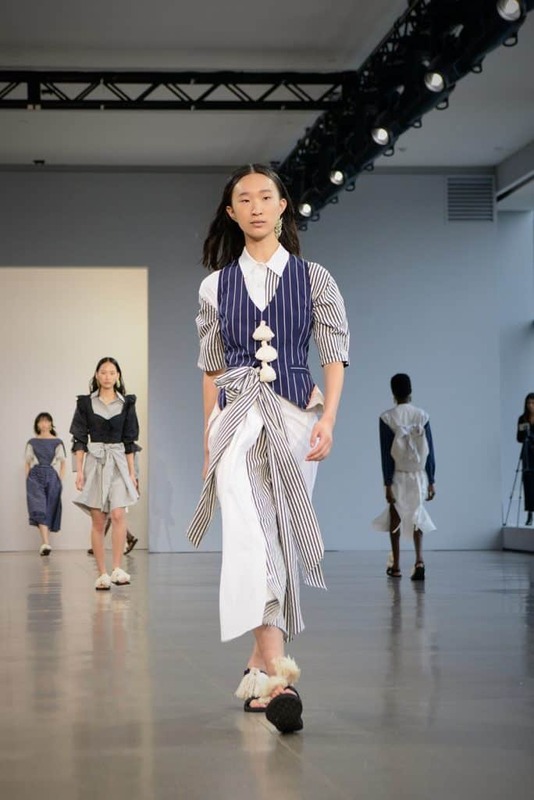 Staying true to the spring/summer seasons, TOME featured a lot of flowing and loosely fit garments that just looked like they would be perfect at keeping you cool in the warmer months. Continuing the trend of pastels in the spring time, lots of pieces in the colors of blue, yellow, and pink were presented. With the exception of some neutral tones like beige as well as some navy blue jackets and trousers. Finishing off with flowing dresses all perfectly cut and accented with pops of color and gold trim. This collection definitely payed attention to the detail and seemed to be all about looking stylish and amazing during the warmer months of the year. TOME is known for their ready to wear collections with designs fit for every woman’s personal style. 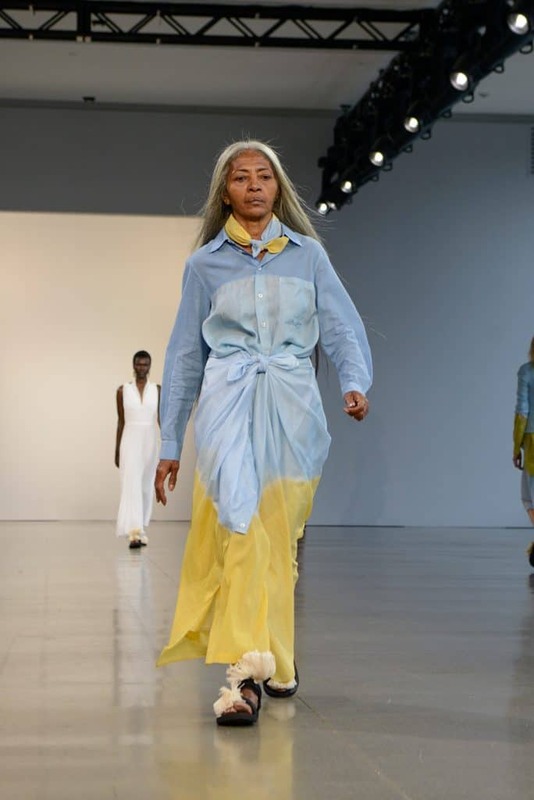 This seasons collection was no exception to their vision and showcased this with a diverse selection of models from different ethnic background as well of woman of different age. 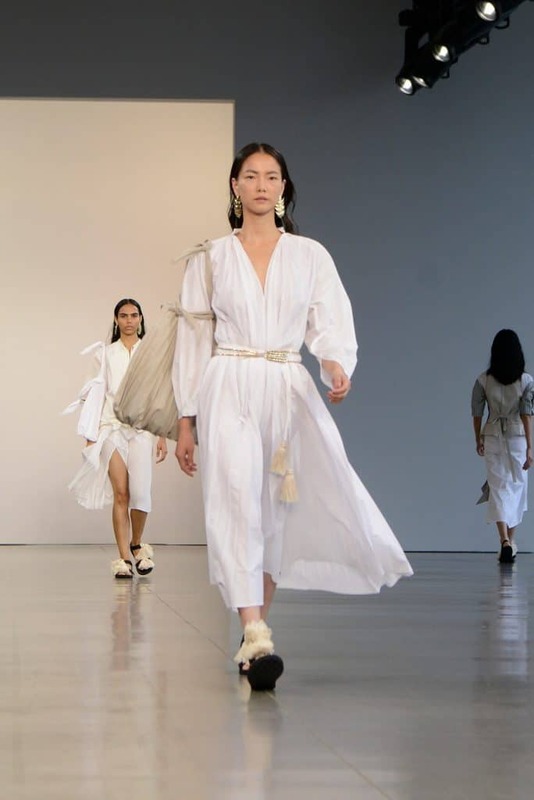 Everyone knows that trying to look stylish while staying comfortable is often a difficult task however TOME made it look easy with their new Spring/Summer 2019 collection.